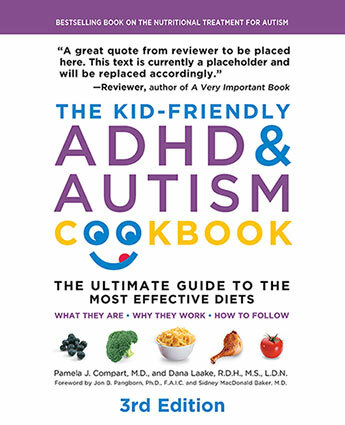 Learn to cook delicious, healthy food that will help your child's behaviour, focus, and development with The Kid-Friendly ADHD & Autism Cookbook, complete with an up-to-date review of common speciality diets for ADHD and autism treatment. 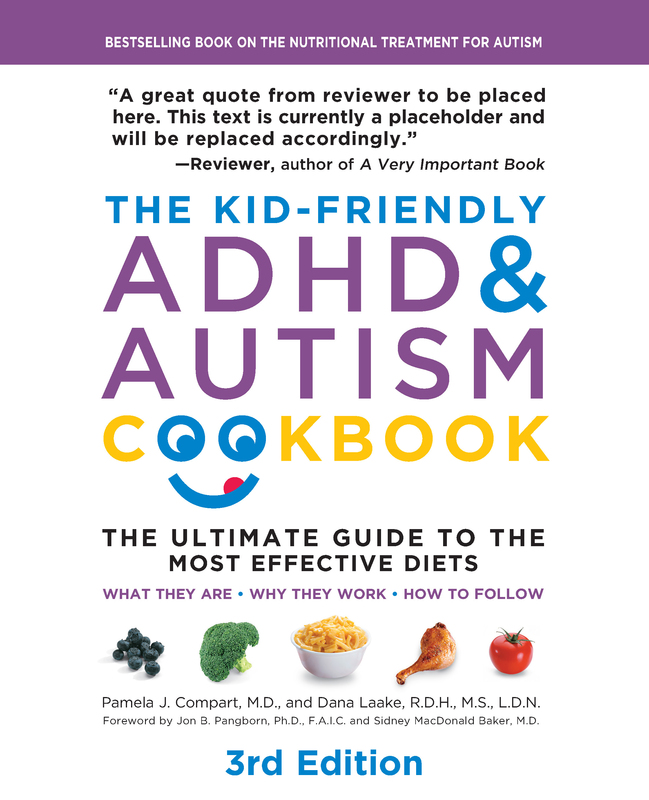 The Kid-Friendly ADHD & Autism Cookbook highlights the best diets for children with these special needs. You'll find recommendations for school lunches and snacks, plus brand-new recipes. One of the challenges that parents face is coping with children who have picky appetites and crave the very foods that negatively affect their behavior, focus, and development. Linked to this is the challenge of finding ways to get their children to eat the healthy foods that will improve their nutrition. Despite the restrictions of these diets, this cookbook offers an array of tasty choices that kids will love, including shakes, muffins, rice and beans, salad, stews, and even sweets and treats. This comprehensive guide and cookbook is chock-full of helpful info and research, and includes more than 100 kid-friendly recipes, organized by their suitability to each speciality diet. Pamela J. Compart, MD, is a developmental pediatrician in Maryland. She combines traditional and complementary medicine approaches to the treatment of ADHD, autism, and other behavioral and developmental disorders. Dietary changes and use of nutritional supplements complement traditional treatments such as appropriate educational placement and speech therapy, occupational therapy, and other therapies. She is currently in solo practice, focusing on her passions of patient care, teaching, and writing. She is also coauthor of The ADHD and Autism Nutritional Supplement Handbook. Dana Godbout Laake, RDH, MS, LDN,is a licensed nutritionist in Maryland. Within her practice she provides preventive and therapeutic medical nutrition therapy to adults and children. In addition to writing and hosting a radio show, Dana is a scientific advisor and content contributor for the Autism Exchange and for the Neurological Health Foundation Healthy Child Guide. She is also coauthor of The ADHD and Autism Nutritional Supplement Handbook.